There are these nice small labels, where you just know, that they must be run by someone with a lot of passion and love for the details. When I first discovered the sewing patterns by Wearing History some years ago, I was enthusiastic right away. Every pattern is very special, from the basic pattern, which you can sew dozens of times in different variations up to sophisticated patterns for advanced sewists. So I am very happy to have these patterns in stock. Gaining little insight, who is the person behind a label is always very inspiring. I am very glad that Lauren, the founder of Wearing History, took the time to answer some questions about her work. Please introduce yourself briefly. What is the idea behind your label „Wearing History“? My name is Lauren, and I’m madly in love with historical and vintage fashion. I’ve been sewing since I was a kid, and I would cobble together costumes for my cousins and I out of fabrics my great aunt gave me when I visited her as a child. One of my best friends and I would play “fashion designer” and run around my house, dancing with fabrics to the soundtrack of Audrey Hepburn’s “Funny Face.” Vintage and creating were just natural for me growing up. I grew up with classic films (I was named after Lauren Bacall), and that formed my ideas of beauty and fashion early on. When I went to school, I knew I wanted to do Costume Design. I went to a fashion school and graduated with a Fashion Design degree, then applied and was accepted into a Costume Design for Film and Television program in Los Angeles. About halfway in, I realized Hollywood wasn’t for me. Most of the work was stylist work and we didn’t get to focus on the fashion history I loved so much. So I started my own company. At first I did historically inspired bridal gowns. Then I sold vintage fashion online. Finally I found my niche in Wearing History- making sewing patterns for fellow creatives to make themselves outfits from the past. I’m able to use my fashion training in a way that I’m really passionate about. My idea is really twofold. I’m a huge history nerd, so I want to make rare patterns accessible to modern sewists and educate them about how to use historical patterns. And I also want to make vintage basics available that easily integrate into what we need for our wardrobes in today’s world. That’s why you’ll see stuff ranging from 1910’s historical garments to more wearable vintage slacks and tops. I pull from historical sources and make them more accessible, and I draft my own, too. I guess I just like to do it all! What was first: your love for sewing or your love for vintage and historical fashion? My love for vintage and historical fashion was first. Vintage film shaped my ideals of beauty, and I was (and still am) a huge LM Montgomery fan, so I had a strange way of thinking I wanted to look like Ginger Rogers, but I also wanted to look like Anne of Green Gables. I also was big into Renaissance Faires when I was younger. My mom took me to my first one before I could even walk and, of course, we were in costume. My older cousin helped me learn to sew doll clothes and then Renaissance costumes. But I was already taping together doll clothes for my Barbie dolls before I could sew. I never even though that I couldn’t make something in my head. I imagined it, and then I made it! Not always exactly the way I envisioned, but I kept going and kept learning. What I’ve made has always come secondary to my love of history. What are the most significant differences between vintage patterns and modern patterns? Wow, SO MANY differences. When I think of modern patterns, I think of patterns from the big companies like Simplicity, Vogue, McCall, and Butterick. I know there are more indie designers that my ideas of modern and patterns may not apply to, but since the “Big 4” are my frame of reference, what I say applies to those types of patterns. Modern patterns, in general, are drafted with much more ease. The armholes are cut lower, the garment is cut looser. In general, construction is simplified in order to make sewing easier. At the same time, I find instructions more confusing, in general. They have a larger seam allowance, and, for me, require more mock ups since they often end up being much larger than the size indicated on the pattern. This applies to the “reproductions” the companies put out as well as their modern designs. But the most significant difference between vintage and modern patterns, from a practical sewist’s perspective, is that modern patterns are presented in a completely different way than most vintage patterns. They are all multi-size, with several sizes per envelope. 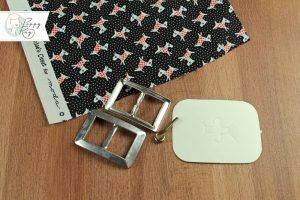 They are printed, with notches, dots, lines, and seam allowances indicated on the pattern pieces. And they often come in a much larger range of sizes than vintage patterns were available in. I find the fit of vintage patterns much better, personally. They usually make up to the size indicated on the envelope, not a size or two larger. They don’t use excessive seam allowance, which I find too bulky and unnecessary. The fit and draft of the sleeve usually gives a better range of movement, since the armholes and sleeves are more fitted. But, in original vintage sewing patterns, you would only get one size per packet, and the sizing often only ran from a 30″ bust size to a 38″ bust size, so much more limited in sizing than we are used to. The body proportions could be different, as ladies of the past would wear different shapers and undergarments, depending on what was fashionable. And vintage patterns from the 1950’s and earlier were often unprinted- meaning that they were cut from tissue paper with holes or dots as markings and not printed instructions on the pieces. Even though they are different, I find the vintage pattern construction and fit far superior to most modern sewing patterns. The details are really fabulous, and the styles are classic. I just find them much easier to sew with, personally. Now, with my patterns, I try to reach a middle ground of these two. I want to give the authentic fit and construction of original vintage patterns, but also make the patterns easier to understand and more accessible. That’s why I multi-size almost every pattern, to a wider range of sizes than it was originally available in. I clearly mark and label the pattern pieces so you can more easily understand what the markings mean. 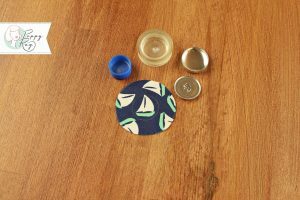 And I often offer tips for construction or tutorials on my blog for harder techniques, so you can stretch your sewing muscles and learn new skills. Do you have tips for people working the first time with your patterns? One of the biggest things sewists overlook is making a mock up. It’s really, REALLY important. Just as we can’t go into the store and expect ever single garment to fit us perfectly off the rack, we can’t expect every sewing pattern to fit us exactly right out of the packet. Make a mock up and see how it fits your unique shape and figure. If you’re more comfortable with a modern fit, you may need to adjust the armhole and sleeve a bit to give more ease. If you’ve never worked with vintage patterns, the instructions can seem very different. I really suggest keeping a sewing book handy to help you through the bits that might seem different than you’re used to. In the past, ladies would use sewing books and patterns hand in hand with one another. Each served an important part in garment creation. The pattern was the blueprint to the style you wanted to make, and the sewing book would go in detail over technique. Both serve a very important part of the process of garment creation. Also, check my blog at http://wearinghistoryblog.com because I might have tutorials for the pattern you’re working on. Is there one of your patterns you would recommend for beginners? I suggest the 1940’s Apron pattern for beginning sewists. Aprons are easy because little fitting is involved, and I have TONS of tutorials on my blog for doing all the bias tape binding and facing. Which one of your patterns is your favorite? The Smooth Sailing pattern is my favorite. I spent a really long time getting the draft of those trousers right, and I spent ages on all the computer drawn illustrations in the instructions. It is so extremely rewarding every time I see someone making the trousers and telling me they love the pattern. It’s my best seller, and I’m very proud of it. I seldom sew myself something more than once, but I’ve made a bunch of both the blouse and the trousers from that pattern for my wardrobe. Do you have a favourite decade in fashion? My favorites are the Edwardian/1910s era and the 1930s. I’m still an Anne girl and love the lace and romance of the early 1900s, and the Fred and Ginger films from the 1930’s are FULL of my dream wardrobe. What are your plans for 2016? Besides the lovely dress Victory, are you planning to release new patterns? My problem is that there is too much I want to make! I love EVERYTHING! I have a hard time setting a game plan, because part of the fun of having my own creative company is getting to chose whatever I’m passionate about at the moment. So today I could say “I’m doing more early 1900s, then evening dresses, then a 1950’s dress” and tomorrow I could say “I’m doing more vintage bathing suits, then an 18th century gown, then a 1910s blouse.” For things I’d specifically like to accomplish this year- I have a 1930’s day dress I’d like to get out, and I’d actually like to make a few kid’s patterns. The problem with having a passion for such a wide variety of time is channeling that wide spectrum into momentum to see an individual project through to completion. But I’m never short of ideas! Order your shirt here The perfect shirt for every “Selfmade Lady”! The Illustration is by Canadian artist Nathalie Rattner, Layout and Lettering by Berlin based graphic designer St. Anchor Graphics exclusively designed for Poppy Ray.